Today we were able to experience one of our students holding a wedding in their congregation. From a new believer only a few years ago, to conducting a wedding for other believers is a significant step for this student. The wedding will last two days according to Cambodian culture. We only attended part of day one. 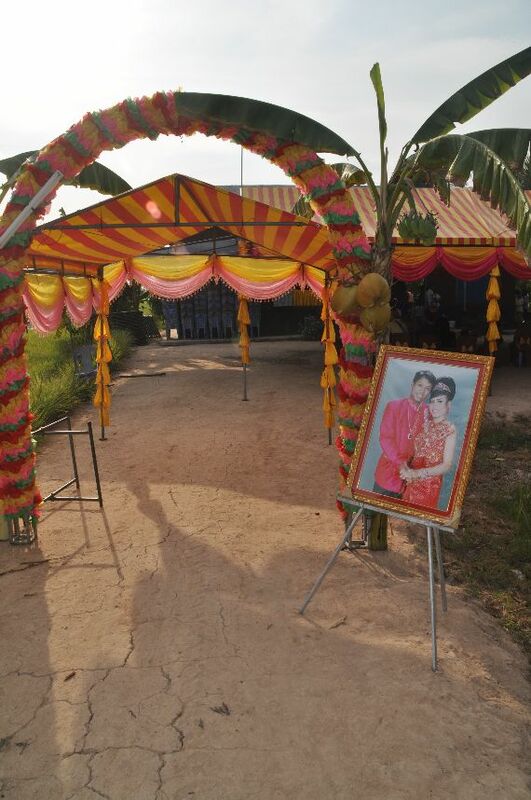 We drove along a dusty road for a long time until we came to the unmistakable colorful wedding tent with two banana trees at the entrance. Inside the people expectantly welcomed us. This was the first time they had a foreigner at the church, much less a group of international pastors and leaders. For most of the pastors, this simple ceremony would demonstrate a valuable principle in multiplication of ministry: contextualization. Wow! That is quite a mouthful of a word! In a nut shell it means that the local believers have taken aspects of their culture and applied it through the guidance of the Holy Spirit into their Christian practice. The ceremony was unlike any ceremony you would see in other parts of the world. It was bright and colorful. Both bride and groom wore pink; one of their favorite colors. They had candles and a symphony of Khmer musical instruments playing songs uniquely Khmer. Everything about this ceremony highlighted Khmer culture, and every part of it honored Christ. So what did they do? They washed the feet and gave honor and respect publically of their parents for raising them and guiding them to this moment in their life. What could represent Christ more than humbly giving honor to your parents during the wedding ceremony? Humility is to be a cornerstone of the Christian life. What a perfect way to demonstrate that. On day two of the ceremony, they will also wash each other’s feet as well! After the ceremony we had a chance to talk to the bride and groom and bless them. The groom we found out was actually afflicted with Polio at a young age and barely able to walk with his small legs. In their former religion, having a handicap is a sign of a curse. It is rare that handicap people could ever get married, so this Christian Khmer wedding is a testimony to the whole community of the love of Christ. The whole community, in turn, responded to this young couple with working together to provide a wonderful wedding for them. Culture is an important issue. God made everyone unique and different. Creativity is his design. 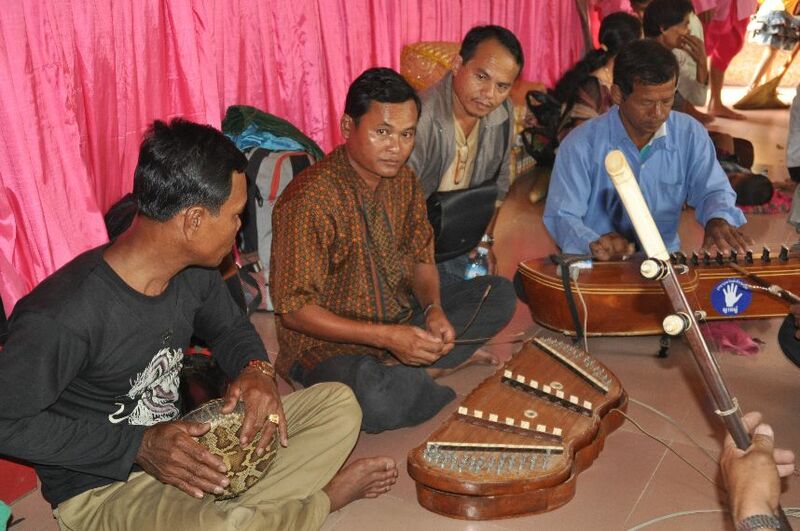 When I see such wonderful Khmer weddings my heart is glad and clearly the community responds favorably as well. In the past, an excuse that many have given for rejecting Christ is that some believers reject their culture, yet it is a joy to see that believers are actually forefront in promoting the great aspects of the Khmer culture. Indeed, if you want to see Khmer dance, Khmer music and other forms of culture a good place to look is the rapidly expanding Khmer church. I believe in the future, it would only be more helpful for Khmer Christians to continue to press toward the forefront of Khmer architecture, education, music and leadership to show that Jesus Christ truly is the God of the Khmer.